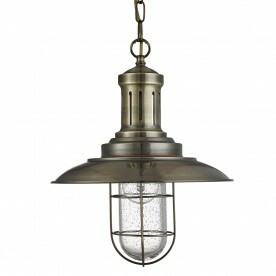 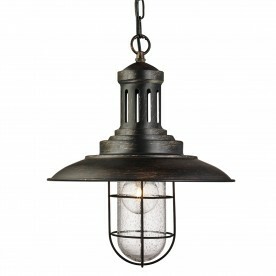 This Fisherman satin silver ceiling light with caged shade is a sturdy lantern with a classic, industrial finish. 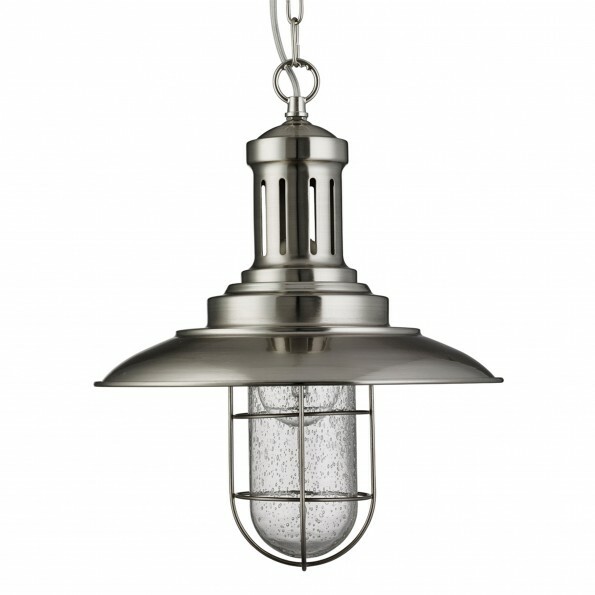 Made with a quality satin silver finish, the smooth rounded edges of the lantern complement the oval seeded glass shade which provides a stylish water droplet effect. The matching cage surrounding the glass shade completes the look of this ceiling light which will look at home in any traditional living space.